At total of 606 juvenile lake sturgeon where planted in the Whitefish River in Delta County on Sept. 28. The DNR planted 345 in the Cedar River in Menominee County on Sept. 4. They were the only tributaries stocked in the Upper Peninsula. Stocking was done at seven other sites downstate. The most, 2,102, were planted at Otsego Lake. 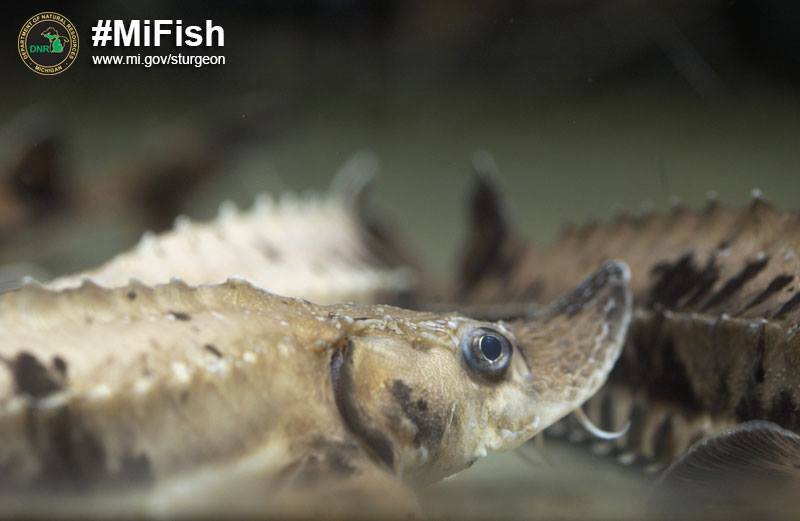 All juvenile lake sturgeon were collected from the wild last spring and reared in stream-side facilities until they reached at least 7 inches in size or larger. All fish are tagged prior to being released into their respective rivers. Dexter said the annual stocking efforts are critical to restoring the state’s lake sturgeon population. Share the post "DNR releases nearly 6,000 lake sturgeon in Michigan waters"
Categories: Hunting & Fishing and Outdoors.